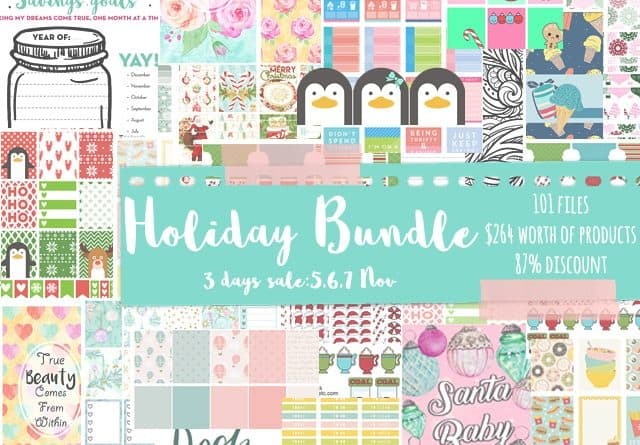 This Holiday Bundle in which I was taking part is now over, but you can still get all the files (except the penguins washi sampler, that was an exclusive file) I created for this bundle by purchasing them individually on my Etsy store. Here are the direct links if you’re interested: Christmas countdown stickers, Budget planner, Winter polar checklists, Christmas weekly kit. The HOLIDAY BUNDLE is now for sale! I’m super happy and excited to announce you that the Holiday Bundle i’m taking part in along with 12 other designers is now for sale! 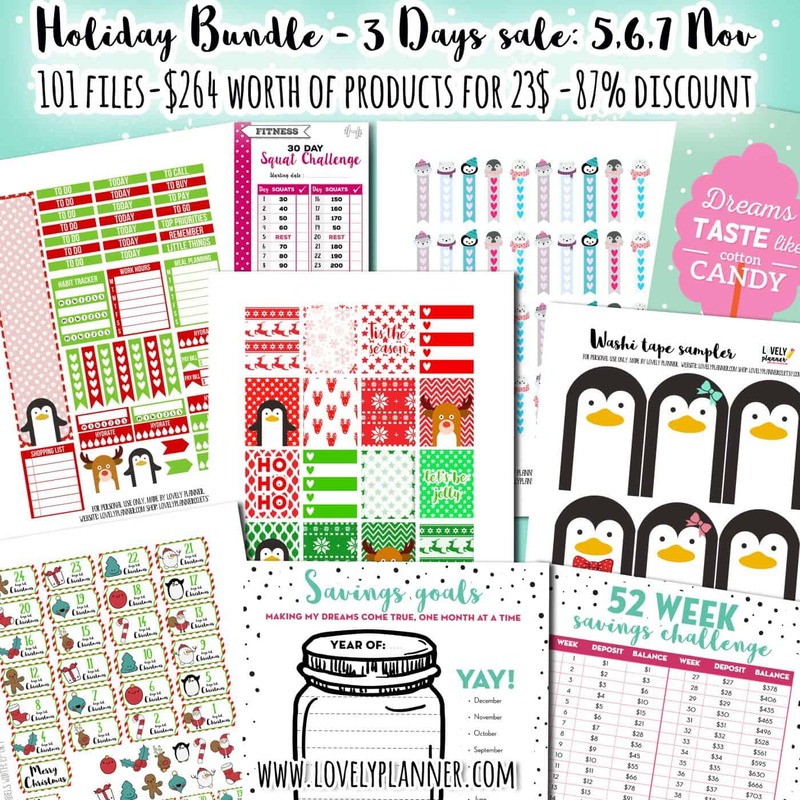 During 3 days only you’ll be able to get a big bundle of printable for a very discounted price! This printable bundle includes 101 files from 13 designers, including yours truly. The total value of this bundle is $264 but during this 3 day sale you can get it for just $23, which is a whooping 87% discount! 87% discount, yep, Christmas is early this year! 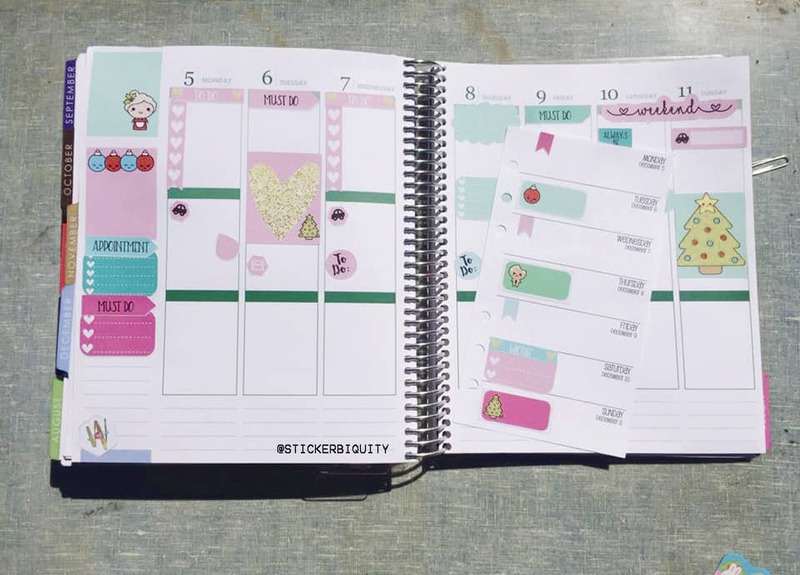 This sale will only be available for 3 days – 5,6 & 7 of november – so if you want to spoil your planner with lots of printable stickers, inserts and decorations, you’ll have to act fast! But the best is to check it out by yourself. 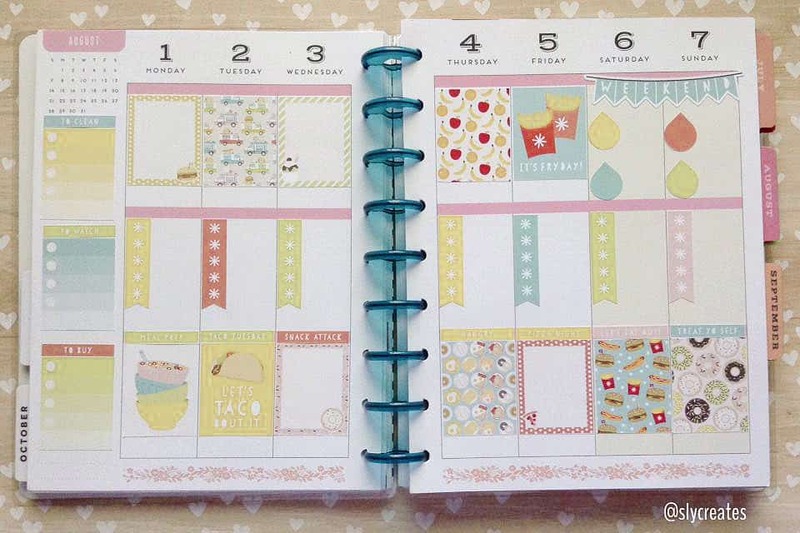 This bundle is a great way to score a big stock of printables all at once. While some of them are Holiday related, a lot of the files are pretty general, which makes it great to use all year around. Imagine all the layouts and creations you’ll be able to make. Spend 23$ once and enjoy the benefits of it for a while. 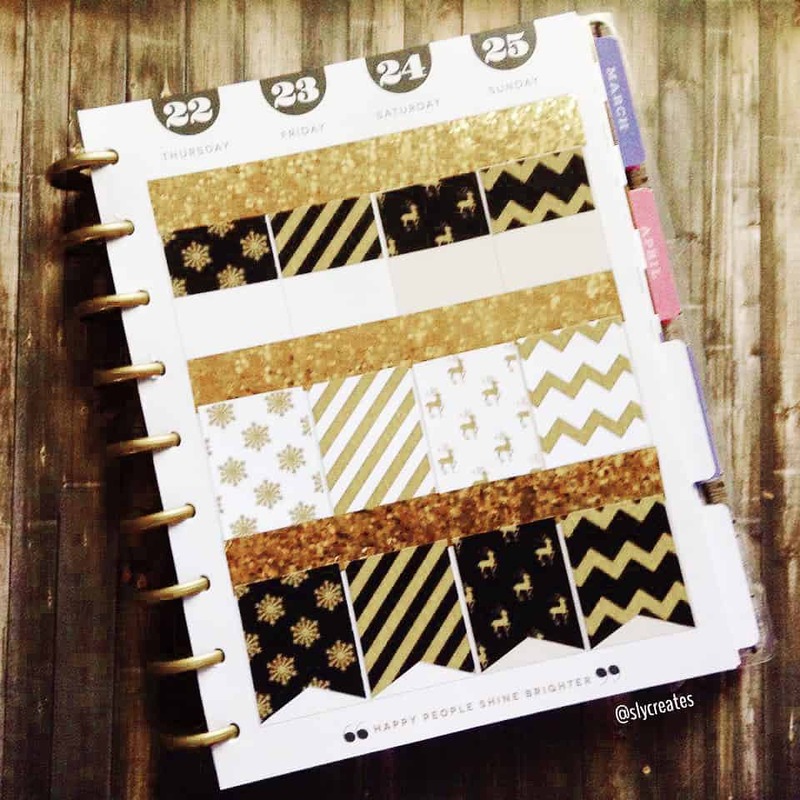 You can never run out of printables, you can hit the button print as many times as you’d like, that’s the beauty of it. Yesterday I revealed you all the files I created that will be included in this Holiday bundle but as you’ll see that’s only a little fraction of all the goodies you’ll get by purchasing the Holiday Bundle. Here are some of my favorite files. But there is many different styles and files, it’s hard to choose from and it’s impossible to show them all here so I really encourage you to have a look at it for yourself and see how you like it! I’m sure looking at this big selection will get your little crafty heart excited and your creative juices flowing. 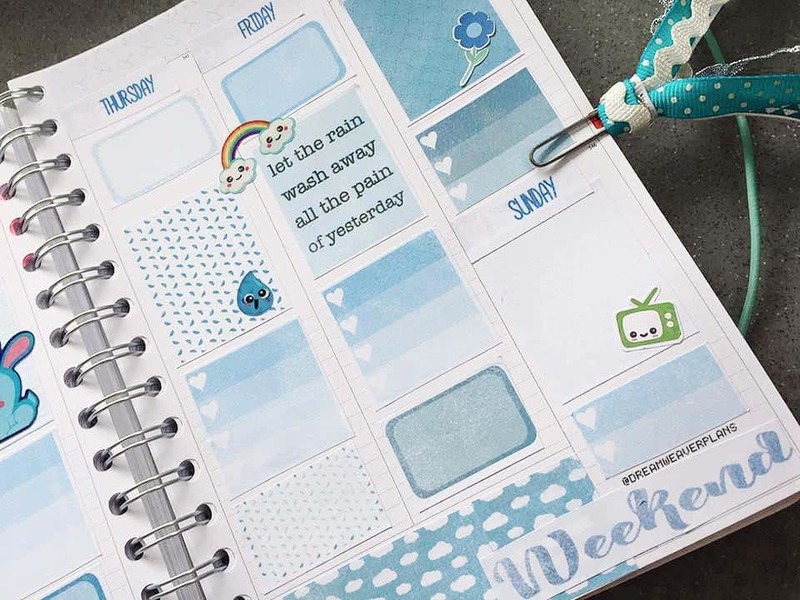 Belinda Selene, DayCreates, KKPrintables, Scattered Squirrel, Wendaful Designs, AllAbouttheHouse Printables, ChicChic Printables, Cinderella Paper, Cover & Awl, Hearts N Crafts, missplans Printables, Three Cheers + Co, and me Lovely Planner. This bundle is only on sale for 3 days: 5, 6, 7 november! After that, this great deal will be gone for good. If you like planning, crafting, good deals and having plenty of choice then you don’t want to miss this bundle. 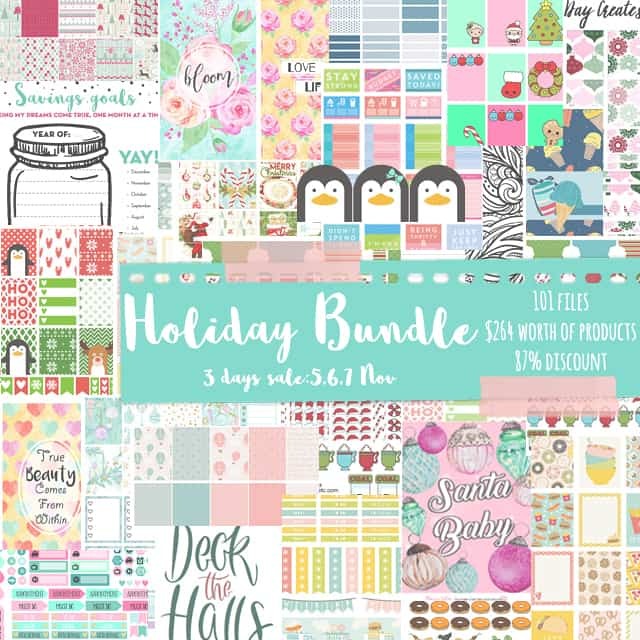 Holiday Bundle – Get it now!! Disclosure: In order to support this website’s costs, this post contains affiliate links, which means that if you make a purchase using one of my links, I’ll receive a small commission.